Brain cells: neurons can reach astonishing shapes and dimensions with dendrites and nerve terminals sometimes located meters away. The establishment and maintenance of such polarity is achieved through the traffic and transport of vesicular compartments. These vesicles, which have various origins and defined destinations, underpin fundamental functions such as neuronal communication through the timely release of neurotransmitter at the synapse. They can also be destined for retrograde transport, carrying many important survival factors from the synapse back to the cell body. Our ARC and NHMRC funded laboratory is using new fluorescent probes and state-of-the-art live cell microscopy, in combination with biochemistry and mass spectrometry, to understand the molecular mechanisms underpinning neuronal membrane trafficking. – The role of cholesterol trafficking and homeostasis in neurons: importance in synaptic activity and vesicular transport in health and Alzheimer’s disease. The candidates will have a 1st Class Honours or equivalent and should be eligible for APA or equivalent. Basic expertise in cell culture, transfection and microscopy is required. Experience in biochemistry (western blotting, pull down etc…) would be helpful. 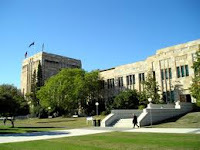 REMUNERATION: The University of Queensland offers competitive scholarship options. · International Postgraduate Research Scholarship (IPRS; International students). N.B. to be competitive for an IPRS at least one publication, preferably as first author, may be required. Demikianlah informasi 3 PhD Scholarships in the Neuronal Trafficking Laboratory kami sampaikan, semoga bermanfaat.